Editor’s note: This story has been corrected. A previous version of the story applied rankings to different cloud providers, which IDC doesn’t seek to accomplish in its MarketScape report. Partners looking to work with the best public cloud provider in Canada might find the sky isn’t as black and white as they might hope – instead, sizing up the market means discerning between shades of grey. While there is no definitive ranking of cloud providers in Canada, the latest MarketScape report by research firm IDC shows that Amazon Web Services (AWS), Microsoft Azure, and IBM Cloud are positioned in the Leaders Category. Beyond the big three, IDC positions several firms in the Major Players category, including Google – which just recently launched a dedicated Canadian region – and telecom giants Telus and Bell Canada. Solution providers Long View Systems, Cogeco Peer 1, OVH, CentriLogic, and OnX are also considered major players. Jason Bremner, research vice president of IDC Canada’s industry and business solutions analyst team, says that in reality, a cloud provider leading the market doesn’t make it the right choice for every business. Partners should instead carefully consider their client’s needs and what cloud provider is best given the situation. He adds that the three companies named to the Leaders Category – AWS, Microsoft, and IBM – are all seeing their cloud services grow significantly in Canada, particularly AWS and Microsoft. Google is also seeing growth. And with the overall market shifting to cloud, this quick expansion will continue. “All of the major players are seeing their cloud businesses grow fast. Double digits in terms of revenue and in terms of dozens of new clients every year. 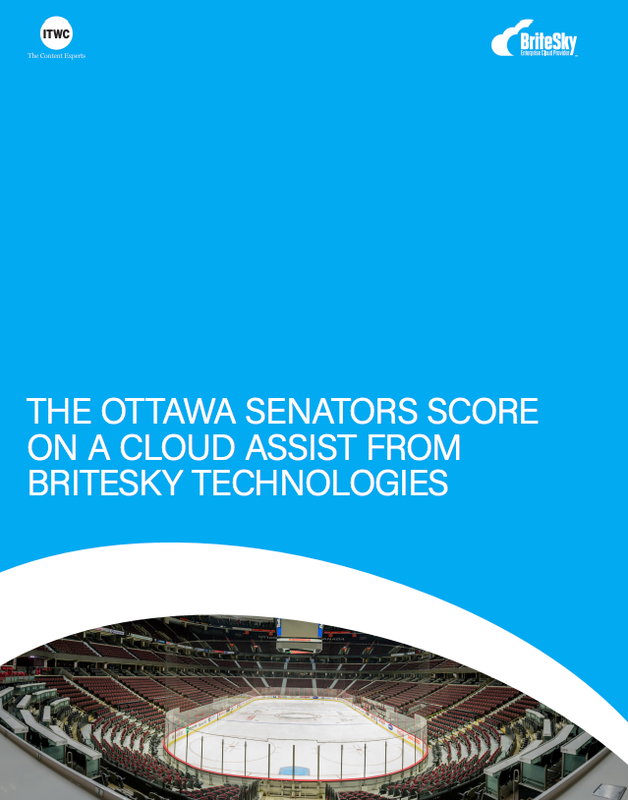 I can easily say there isn’t anyone not growing in the cloud space,” Bremner continues. But he doesn’t look at the space as a competition; instead Bremner sees the number of big cloud companies in Canada as more of a validation that cloud has solidified itself as a mainstream technology that’s here to stay. He points to a February 2017 IDC survey that found that 20 per cent of Canadian-based businesses have adopted public cloud IaaS as of 2016, while 66 per cent are already on board with SaaS cloud. By 2019, the report shows that almost half of respondents plan to adopt public cloud IaaS by the end of the year, and 85 per cent will adopt SaaS. “I think it’s fantastic that [all the major cloud players] have made investments in Canada. To some extent, it’s validation to Canadian companies or organizations that are being slow to use some of these public cloud services, particularly the infrastructure services, that cloud is the real deal. These companies are going to continue to spend money here and build up and expand their services,” Bremner says. While there is no Canadian list, benchmarking and consulting firm Cloud Spectator has released its 2017 Best Hyperscale Cloud Providers report analyzing the prices and performances of the four major IaaS cloud providers in North America: AWS, Microsoft Azure, Google Cloud Platform (GCP), and IBM Cloud. 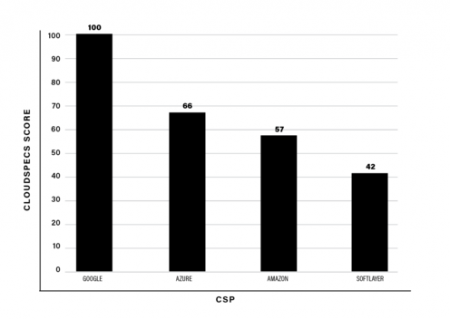 Overall, Cloud Spectator ranks GCP as the top public cloud provider in North America based on its CloudSpecs Score, which is calculated as the ratio between the price – defined as the monthly cost of the virtual machine (VM) and block storage – and median performance of the VM and block storage. Microsoft Azure came in second place, followed closely by AWS and then IBM. It’s worth noting that last-place IBM tallied less than half of GCP’s score. But digging a little deeper, Cloud Spectator highlights the fact that Microsoft Azure’s VM is actually the highest performing on average, with IBM ranking second. The caveat is that IBM’s VM is also the most inconsistent in its performance, while AWS boasts the least performance variabilities in the big four. 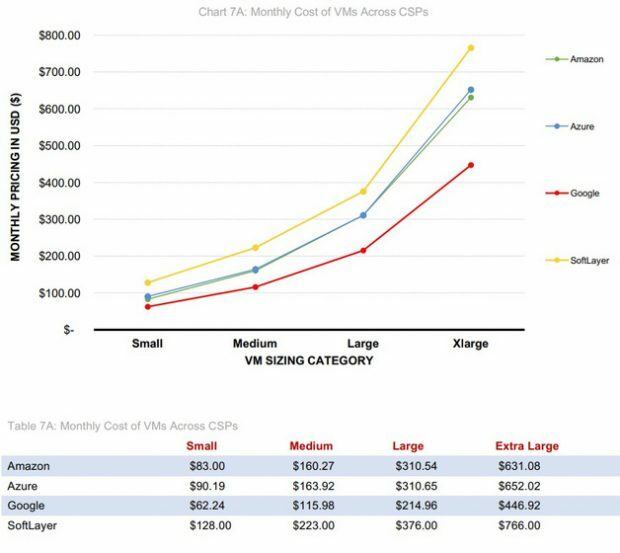 GCP is consistently the cheapest per month for any sized VM and attached block storage, while IBM is the most expensive per month. AWS and Microsoft remain virtually tied, differing by only a few dollars except for when it comes to extra-large VMs, where AWS gets the edge. When it comes to block storage, which is typically used in storage-area network (SAN) environments, all but AWS scored high with few variabilities, with GCP topping the list. However, Cloud Spectator points out that the high amount of variability on AWS is “not representative of an unstable environment” but instead due to a burst function and controlled throttling built into its platform for various workload levels. It’s clear that the Canadian cloud market is far from black and white, but seeing where the big players stand compared to each other may clarify the sector and help organizations make the right decisions for their business.